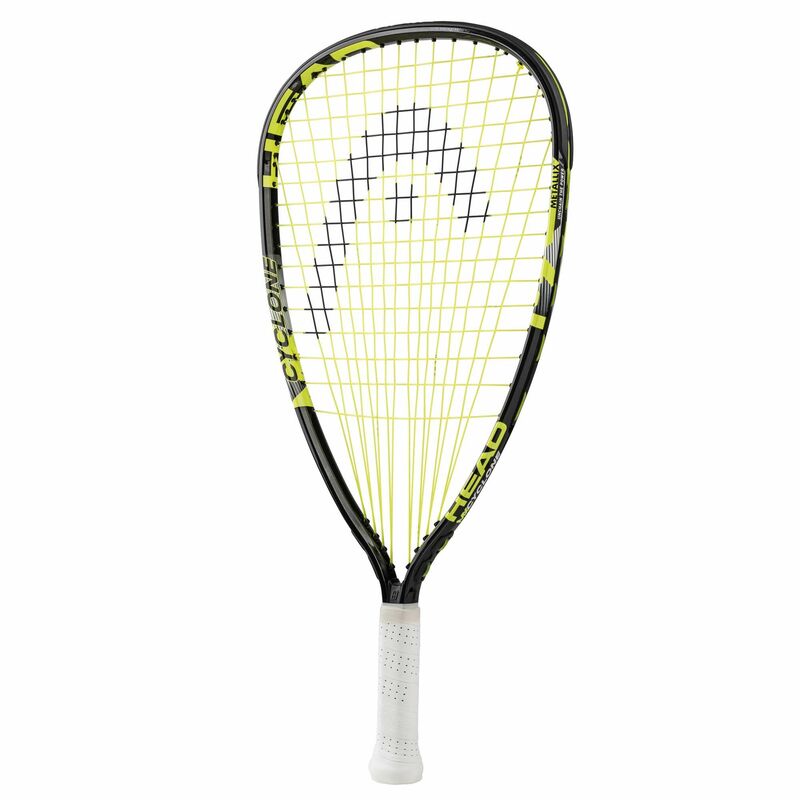 A proper pick for beginners or recreational enthusiasts of the sport, the MX Cyclone racquetball racket ensures comfortable ways to improve with plenty of speed and handling thanks to the head light balance. The frame includes the Metallix material for extra durability, and H-Beam hexagonal design providing impressive stiffness and stability. Also, there is the Damp Plus technology, which is responsible for dampening incoming shock impacts for more comfortable plays and rebounds. Furthermore, the racquet arrives strung with synthetic gut string in a Dynamic PowerZone 16x16 pattern to achieve the highest power potential. For added convenience, it is supplied with a head cover. for submitting product information about Head MX Cyclone Racketball Racket We aim to answer all questions within 2-3 days. for submitting product information about Head MX Cyclone Racketball Racket. We aim to answer all questions within 2-3 days. If you provided your name and email address, we will email you as soon as the answer is published. for submitting product review about Head MX Cyclone Racketball Racket.